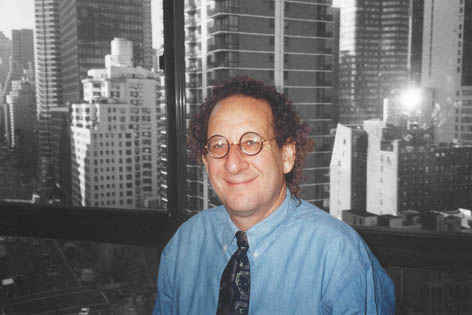 I admire and respect Mike Shatzkin who is CEO of The Idea Logical Company, Inc., a publishing consulting company. This man has worked at every level in the publishing chain since the early sixties and possesses a uniquely insightful knowledge of said industry. Mike’s first job in publishing was as a sales clerk at the brand-new paperback department at Brentano’s Bookstore on 5th Avenue in 1962. Since then, he has authored five books and worked at virtually every step in the publishing value chain: editorial, production, sales, marketing and distribution. He served as Director of Marketing for The Two Continents Publishing Group in the 1970s and has been a consultant since 1979. I have often used Mike as a valuable resource on my blogs. I mention this because, although I don’t always agree with every one of his conclusions (I’ll give an example later), he is a foremost authority that usually nails it correctly with logical perpsective gained from real experience. ANYWAY, Mike has prepaired a brief but intensive history, status and outlook for publishing that is extremely informative and will educate all that are interested and want to know why publishing is in dire straits today and what it will look like and how it will perform in the future. This is the 2nd of a 4-part post spelling out what I would have said if I had appeared at the Annual General Meeting of the UK Publishers Association on Wednesday, April 28, and not been cancelled by a volcano. Part 1 set the stage, spelling out how much change can take place in 20 years. This post offers a vision of the world of information and entertainment (or what we today think of as the world of “content”) 20 years from now. Part 3 will suggest what a publisher’s role can be in the new paradigm and Part 4 will take a shorter view, looking at the change we should expect in the next 2 or 3 years. If we accept that 20 years is time for things to change a lot and with the belief that the pace of change in the world of information and entertainment is accelerating because of digital technology, here’s a view of what happens to content, audiences, and what will pass for “publishing” 20 years from now. Even illustrated and coffee table books will be just about defunct, except as pure works of art. Screens will be able to deliver better image quality with more flexibility: to blow up the image, or rotate it (which you can see in the “Elements” ebook on the iPad today.) Screens can deliver you the accompanying text on top of the image for you to read it and then “take it away” for you to see the image alone. Books can’t do that. The change for publishers, though, is far more profound than a simple change in delivery mechanism would suggest. Publishers, indeed all commercial media in our lifetime, have been defined primarily by format. Some do books; some do magazines; some do newspapers. Others called producers do movies or television or radio. The capital and skill set requirements for a format effectively channeled the media company. For the most part, big media was not topic- or subject-specific; it was format-specific. But when the exchange between publisher and content consumer becomes a file, rather than a book or magazine or movie or TV show, then format becomes irrelevant. A file can hold any of the formats we have historically thought of: text, photographs, diagrams, maps, video, audio. A file can also hold games and productivity software. So the publisher that is limited by the formats of the 20th century will not be competitive in the cloud-and-screen based media exchange of the future. We’ve seen that media have been defined by format. The companion thought is that media have rarely been defined by topic or subject. Whether you’re talking about CBS or the BBC, The New York Times or the Times of London, or Random House in either country, the subject of the content is not limited. These companies will cover news, sports, public affairs, science, every academic discipline at some level, and pure entertainment. Except in the spheres where publishing exists in service to or as an extension of another establishment (educational, academic, professional), the primary identify of most publishers of scale is by their format, not their audience. But we already see that the Web has changed that. Even superficially-”horizontal” brands on the web — Huffington Post and Gawker being two examples that are popular in the US — serve pretty specific interests (politics and celebrity, respectively, in these two cases.) And there are far more examples of new successful web brands which are subject specific: on sports, politics, women’s interest, health, crafts, cars. These businesses are built, first of all, on repeat visitors to a particular web site. But when they’re smart, they add user-generated content which turns into databases. They have lengthy comment strings to their blogposts which attract an audience of their own. And they are building the publishing brands of 2030. When we lived in a world of physically-produced and hand-delivered content, barriers of cost and scale effectively kept content scarce. It is no longer. Anybody who creates any content today can make it available to the world for no incremental cost if they have a web connection. Lots of professional content creators — individual and institutional — feel it is in their best interest to make content available without charge on the Web (sometimes with advertising support; sometimes not.) A consumer 20 years ago couldn’t read good writing and watch videos all day about whatever is their favorite subject for free unless they went to a library, where access would be bureacratic and cumbersome. A consumer with a web connection today surely can. All of this inevitably reduces the price anybody can charge for a competing piece of content in any form. Here’s the important point for publishers to take on board. Content is being devalued by technology. This is inexorable. It is not anybody’s fault. It is not in anybody’s power to change it. The price consumers will be willing to pay for content is going to go down because of the laws of supply and demand. It is true that professional content creators can benefit from efficiencies and cost savings offered by the same technologies, so the loss of revenue doesn’t necessarily translate into an equivalent loss of income or profit. But the general direction is one way: down. Businesses that depend on monetizing the content they create will continue to be increasingly challenged over the next 20 years as they have been over the last 10. This won’t end well for the formula of creating content and selling it. But if the price of content must inexorably go down because of the laws of supply and demand, publishers should look at what might go up for the same reason. And what will become more valuable over time is the audience looking at the content. Content won’t be scarce and command revenue, but human attention will. As the world verticalizes, the owner or controller of the web community that has (for example) the gardeners will be the one to decide what new gardening content is needed. However it is montetized — by standalone sale, or as part of a subscription, or supported by advertising, or underwritten by a sponsor — the control will belong to the entity that commands the eyeballs. What all of this means, taken together, is that the successful publisher of the year 2030 will own a web community which is both a principal source of content and provides the audience for it. The community will not be content-centric alone; but we aren’t getting into that in more detail right now because sketching out the whole concept for “vortals” is “out of scope” for this exercise. The publisher who owns “knitting”, or perhaps “knitting sweaters”, will develop and curate the content and control access to the audience just as surely as a major publisher has controlled access to bookstores shelves or a newspaper publisher to newsstand sales in our lifetimes. Without bookstores and without any general marketplace dedicated to the sale of “books” as a format, the idea of a General Trade Publisher will have no meaning. What Is The Biggest Opportunity and Threat To Publishers? And the answer is, according to Jason Fell of FOLIO magazine: new technology! Yes, all the new e-readers and iPads, etc, have opened up all kinds of new opportunities and venues for publishers…but, like roses, they come with some thorns! That’s what CNN U.S. president Jonathan Klein said Wednesday during the opening keynote of Bloomberg BusinessWeek’s two-day Media Summit, held here for the seventh year. An overarching topic of a number of the sessions was about the confluence of traditional publishing/advertising/distribution with emerging technologies. In his discussion with BusinessWeek editor Josh Tyrangiel, Klein, who led CNN to its most profitable year in 2009, said the company’s growth areas are online (including CNNMoney.com), mobile, U.S. cable, and said it is placing a “greater emphasis” in online video. Marc Ruxin, executive vice president and chief innovation officer at McCann WorldGroup San Francisco, said publishers and advertisers need to develop new ways to make online advertising effective for both parties. One example he noted was allowing the consumer to determine the types of ads they want to see on the sites they frequent.